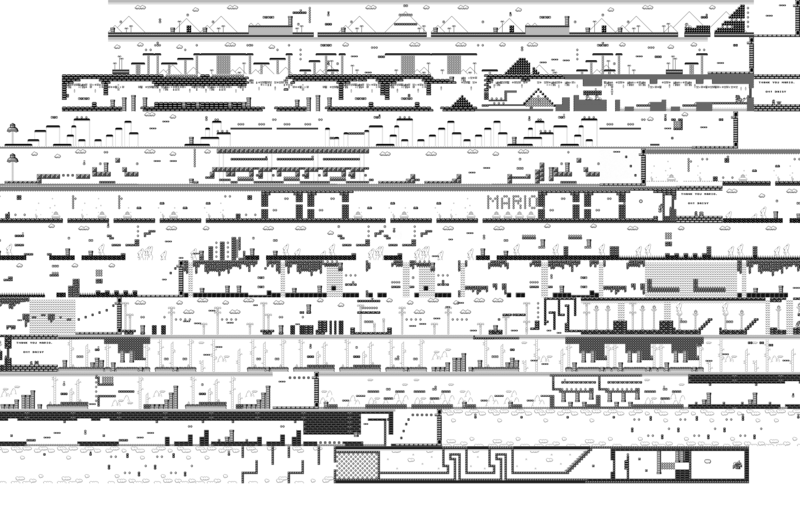 [revolvingdork] etched his Eeepc with the entire level map of Super Mario Land for Game boy. He set the laser to 70% speed and 40% power to get it to turn out this way. This is a far safer way of expressing your self and playing with laser etching than tattooing yourself with the laser. I’m playing that right now on my Dell Mini 9! Man I love that title. It may be a safer way of playing with lasers than the tattoo, but you don’t go into laser-etching-infamy. wow! i need the source image!!!! Really cool! It would have been uber-cool if you somehow had branching paths (like from pipes etc) in there too… then again, were they in SML or just SML2? Been a while since I’ve played a Game Boy game.